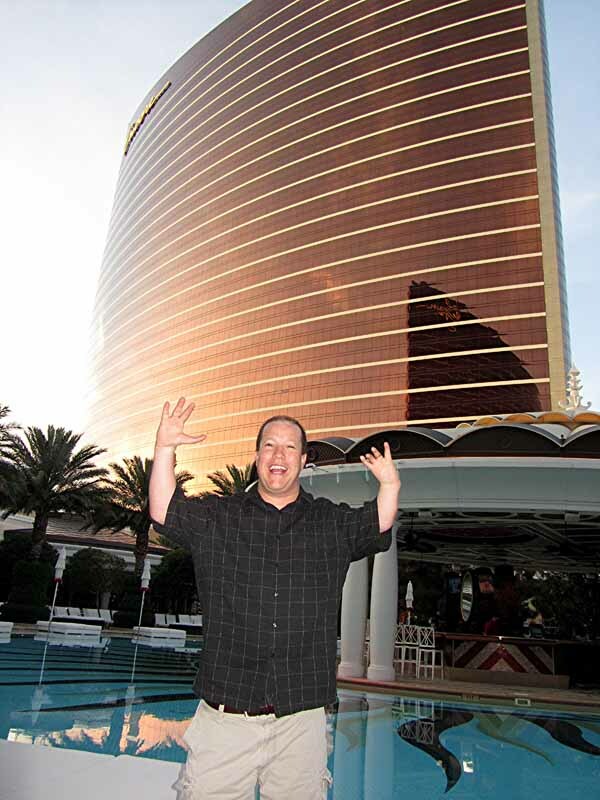 We decided to stay at the Encore which is a beautiful resort on the strip. We were surprised to learn that they had a swimming pool which featured European Sunbathing. Miss Sheri and I were curious to check it out, but unfortunately the sign said that we weren't allowed to bring our camera with us so I have no photos to share of the experience. Needless to say, we had fun and met a lot of interesting new people! 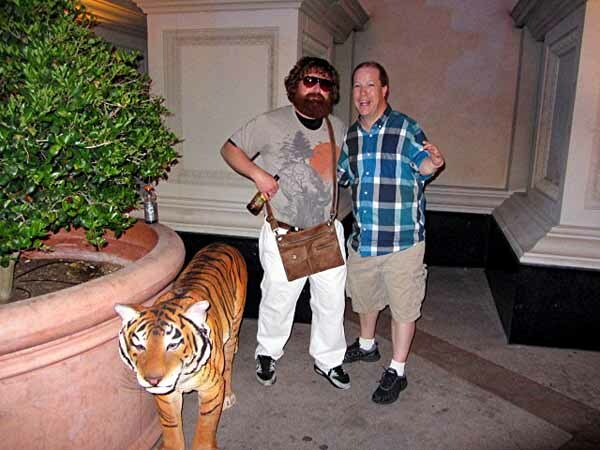 Normally when I go to Vegas, I get a little out of control. Luckily, we met a new friend this time who led us in the right direction to have a proper good time. Our first night, we thought we'd have fun hanging out at the casino in the Encore. We went to the bar and ordered a couple of beers. When the receipt came with a total of $18.00, I turned to Sheri and said, let's go to some of the nice, older casinos downtown instead! 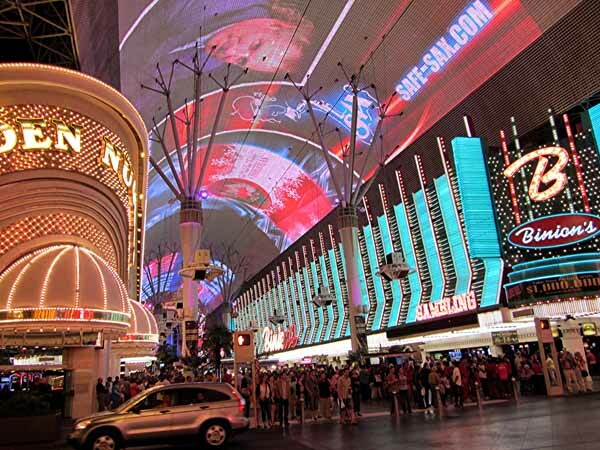 So we headed to the Fremont Experience! We wandered around, mingled with the street performers, ate at Tony Roma's, and played some Blackjack and Slots. 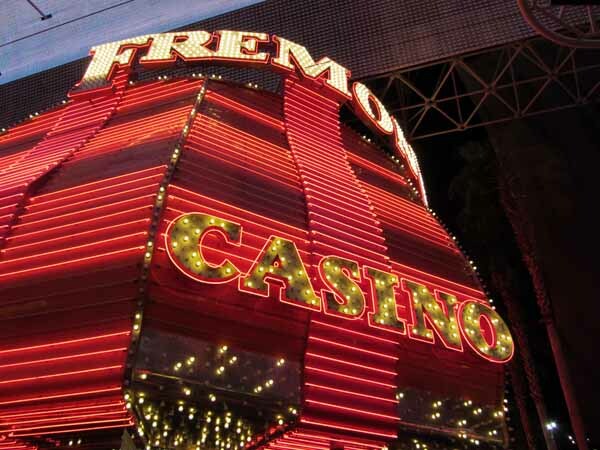 We weren't doing very good gambling and then we both played a Van Helsing Slot Machine together at the Fremont Casino that suddenly paid us a jackpot of $350.00. That was the highlight of our trip as far as gambling went. It was pretty much downhill from there for the rest of the week, but we both did go home being up money which was definitely a nice change of pace from our traditional Vegas experiences. We woke up early on Thursday and then laid in bed for too long. 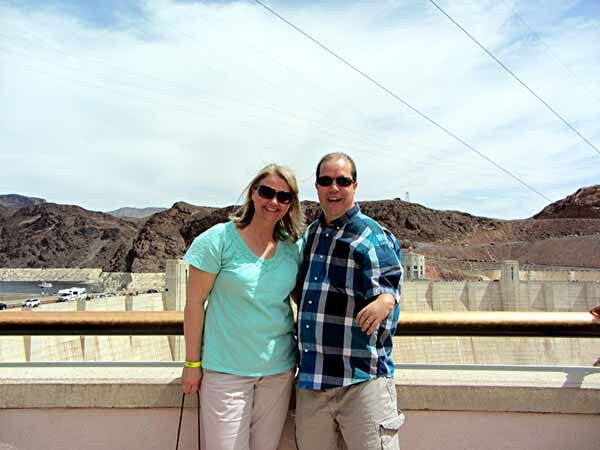 Finally, we stood up, did the buffet at the casino, and headed to Hoover Dam. 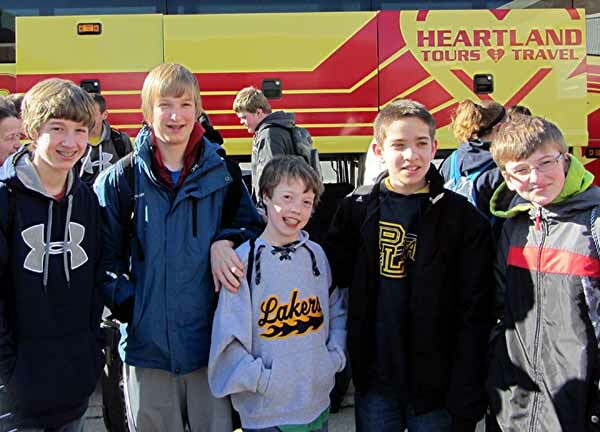 Because we heard the Dam Tour was a Dam Good Time! Dam Jokes never get old! 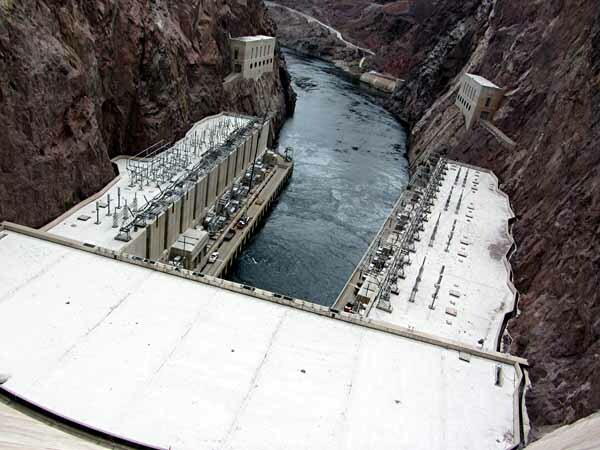 We pretty much spent the whole day there learning about the Colorado River, how many people eat food nourished by the water it provides, how many people utilize the electricity it provides, and how challenging it was to control it by the US Department of Reclamations. We remembered how much we missed our sons, but also thought about the fact that they would have been complaining for a good part of the day because it seemed a lot like school! Eventually we went inside. 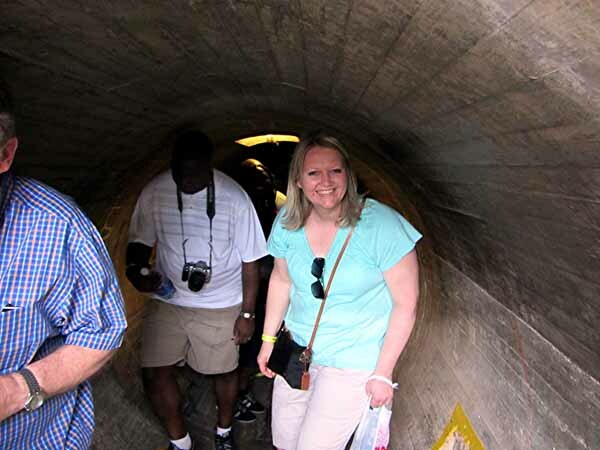 Miss Sheri kept complaining that the Dam Tunnels were too Dam Short! We made our way out to the grate in the middle of the dam. 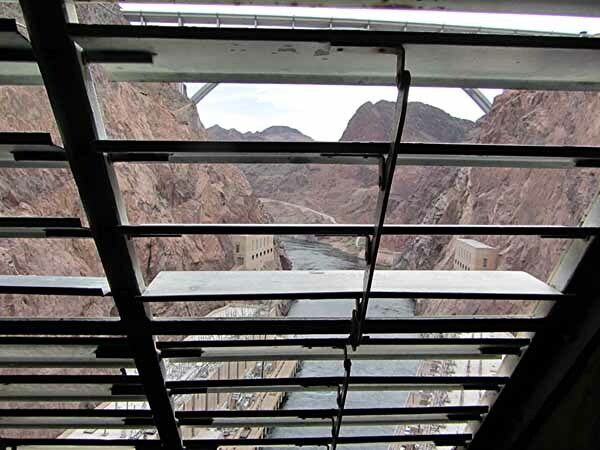 It was a little frustrating because the Dam Grate was really too small to see through much. So I took my Dam Hand and held out my Dam Camera and reached through the Dam Grate to take some more Dam Pictures. Then the Dam People standing behind me told me to hurry up, so I could get our of their Dam Way. 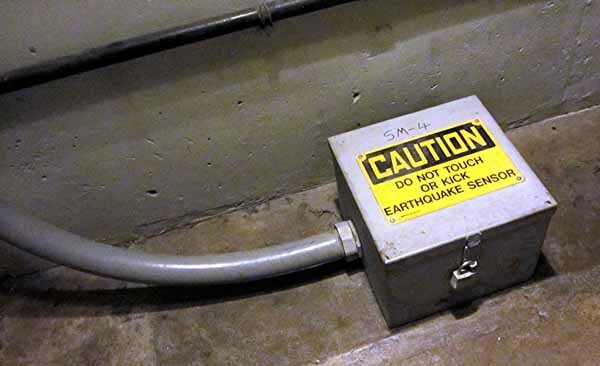 Our Dam Guide told us to be very careful not to bump into this box as we walked by it because the people at the US Geological Society tend to get pretty nervous when they see sudden shaking of the earthquake sensor box buried deep inside the Hoover Dam. I have no idea why they placed this box so near the Dam Walking Tour, but the Dam Temptation to kick the Dam Thing was very Dam High for me! That night I was excited to take Miss Sheri to see her first real Vegas show! 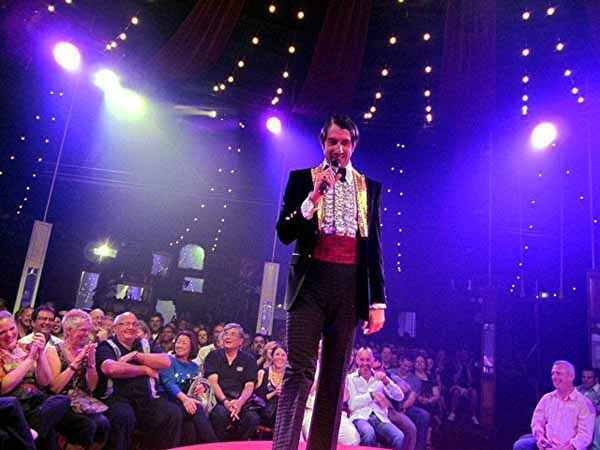 A few weeks ago, I asked my friends on Facebook which show to see and received overwhelming positive reviews for a show called "Absinthe" which was in a large tent in front of Caesars Palace. Once again, my Facebook Friends came through for me!! The show was absolutely awesome! Since this was Miss Sheri's first Vegas show, I splurged and bought tickets in the front row. Plus, the concierge told me they usually make fun of the people in the front row, so I couldn't resist. What I wasn't prepared for was the fact the front row was literally just a couple feet away from the stage and many of the acts would be taking place literally immediately above our heads. If anyone of them would have slipped and fallen, we would have taken a hard one right in the noggin. In more ways than one. Eventually, the Absinthe "Producer" came out to basically just rip in to the crowd. He was hilarious and no topic was off limits. He attacked a couple of guys that he insisted were gay, an older Asian couple, an older man that he identified as a Rich Republican, a black guy, and a Mexican guy just to name a few. The audience roared with laughter. Then he turned to me and started calling me "Flipper Boy". The audience went silent. I was laughing, but both Miss Sheri and I were shocked how people would laugh at all these other stereotypes, but for some reason my arms were off limits. He then started attacking the audience for not laughing and said don't feel sorry for me because I was a "Rich Flipper Boy" after all, because I bought tickets in the front row. Unfortunately, he left me alone after that. I would have liked to still have been a target for him because he eventually had the Asian lady come on stage and then had the black guy and the Mexican guy do lap dances for her. I would have crushed those guys! 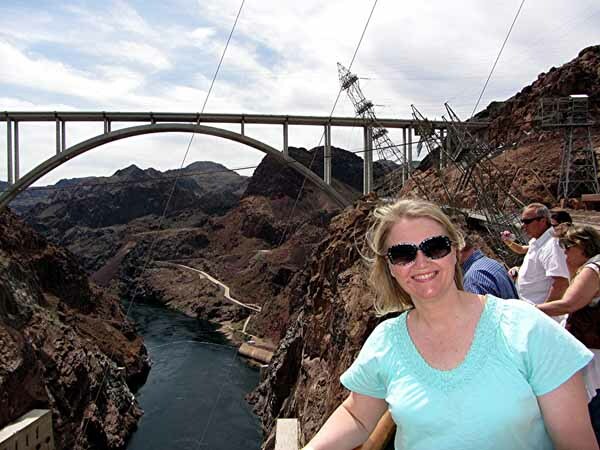 On Friday night, we were scheduled to go on a helicopter ride to the grand canyon as another Facebook Friend suggested. Unfortunately, the company called to cancel our flight without any explanation! We'll get our money refunded, but it was a big disappointment because we were really looking forward to it. We decided to do another show instead and wanted to do one from Cirque Du Soleil. 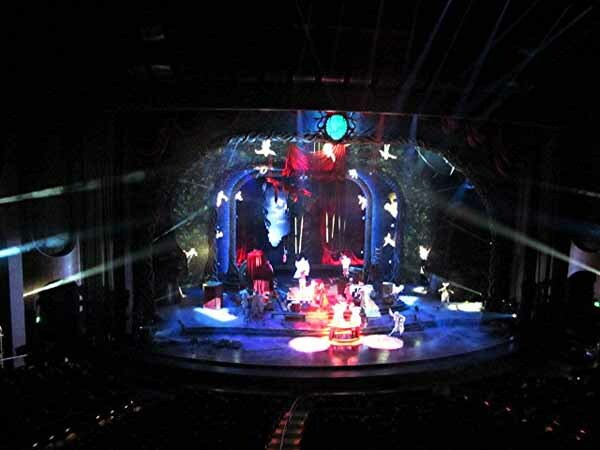 We picked Zarkana because it was the newest and the other ones we wanted to see were off this week. I took the above photo at the beginning of the show and was then chastised by the usher that cameras weren't allowed. After seeing the show, I can see why they're so protective of images getting out of their hands. The show was pretty lousy! When we re-connected with the boys on Saturday, we were all pretty tired. 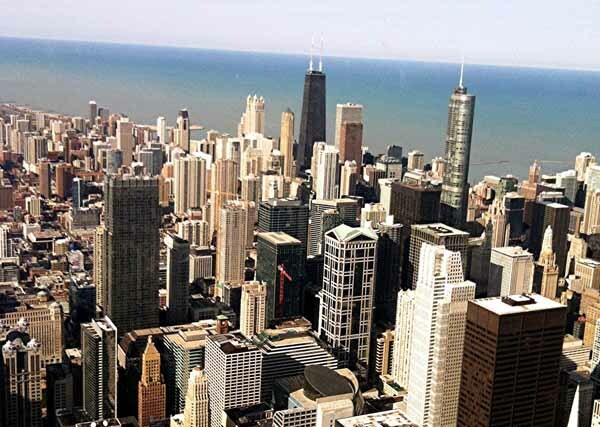 We told them we went to Vegas and they told us they went to Chicago. We shared photos with one another and then all went to bed exhausted. We all had a pretty good week, even if it did wipe us out!